A highly challenging and technical trek in the Everest region- Everest Gokyo Lake Cho La Pass Trek is a dream trip of the adventure lovers around the world. The trek is extremely popular for the scenic features it bears and the destinations it covers passing through the spectacular landscape and the hidden Sherpa valleys. 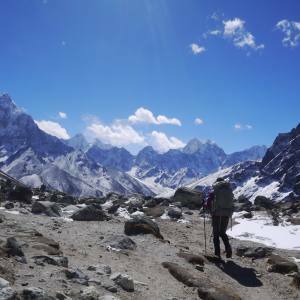 The trek marks the single perfect trip that includes the adventure ethos, walking through the steep and icy trail of the Cho La Pass, from the Gokyo valley and trekking to the world’s awe-inspiring destination of Everest base camp. Taking a good morning flight from Kathmandu to Lukla, Everest base camp via Gokyo Lake Cho La Pass trek goes through the gentle trail to Phakding crossing the steel bridge. Once you reach to Jorsalle, you commence up and take an explore day at Namche Bazaar helps you to acclimatize. 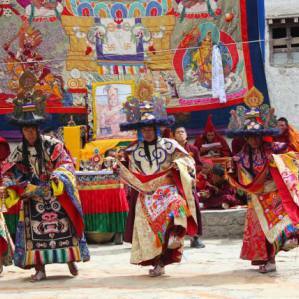 The aura of the Sherpa cultural heritages as ancient monasteries and the local customs entice you wonderfully. The trail to Gokyo valley is still challenging, but not a big deal for those envisioning trekking via the Cho La Pass. An acclimatizing day with the hike to Gokyo Ri as per suggested by Nepal Kameleon Holidays, offers the breathtaking views of Mt. 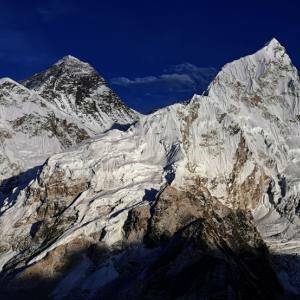 Everest, Lhotse, Makalu and the neighboring peaks. Redirecting to the Cho La top via Dragnag, the technical route begins. Scrambling up hill, the increasing thin air region and steep rock falling route appear as a challenge, but once you put your feet on the gigantic boulders, they energize you to head upwards. The mind-blowing sceneries swap your tiredness into motivation. Walking down gradually from the Cho La top (5330 meters) through the natural staircase, you reach to Dzongla and climb up to Lobuche. 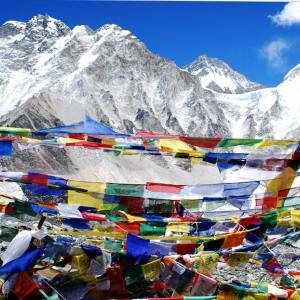 Trek to Everest base camp is a step ahead via Gorakshep. This world class epic route is awesome. To celebrate the trip success, you trek down to Lukla via Pangboche and conclude the Gokyo Cho La Pass trekking with a flight to Kathmandu. WhatsApp: +977 9851159455 Email: nepalkameleonholidays@gmail.com for more info about the best season. Day 06: Walk from Namche Bazaar to Phortse Tenga (3600 meters). Day 07: Walk from Phortse Tenga to Machhermo (4470 meters). Day 08: Walk from Machhermo to Gokyo Lake (4750 meters). Day 09: Explore around the Gokyo valley, walk to Gokyo Ri (5360 meters). Day 10: Walk from Gokyo valley to Thangnag (4765 meters). Day 11: Walk from Thangnag to Dzongla (4830m) via Cho La Pass (5330 meters). Day 13: Walk from Lobuche to Gorakshep (5170 meters)-hike to Everest base camp (5364 meters) and descend to Gorakshep. Day 14: Walk to Kalapatthar (5550 meters), climb down to Gorakshep and to Pheriche (4280 meters). Day 15: Walk from Pheriche to Kyangjuma (3550 meters). Day 16: Walk from Kyangjuma to Monjo (2835 meters). Day 17: Walk from Monju to Lukla. This itinerary is an outline. You can customize your own plan and let us know. No doubt, we organize the trip of your desired one. Day 02Kathmandu sightseeing and trek preparation. Breakfast at the hotel. Then we set out for the sightseeing tour in Kathmandu, exploring some of the unique monumental sites that are enlisted in the World Heritage Sites of UNESCO. Visit the Swayambhunath (Monkey Temple). Cho La Pass is one of the high passes of the Everest region. For this trek, March to May and September to November are the best time. All you need to remember is to have good physical fitness and acclimatization. You can do it and get incredible lifelong memories. Please, feel free to contact Nepal Kameleon Holidays for more details.